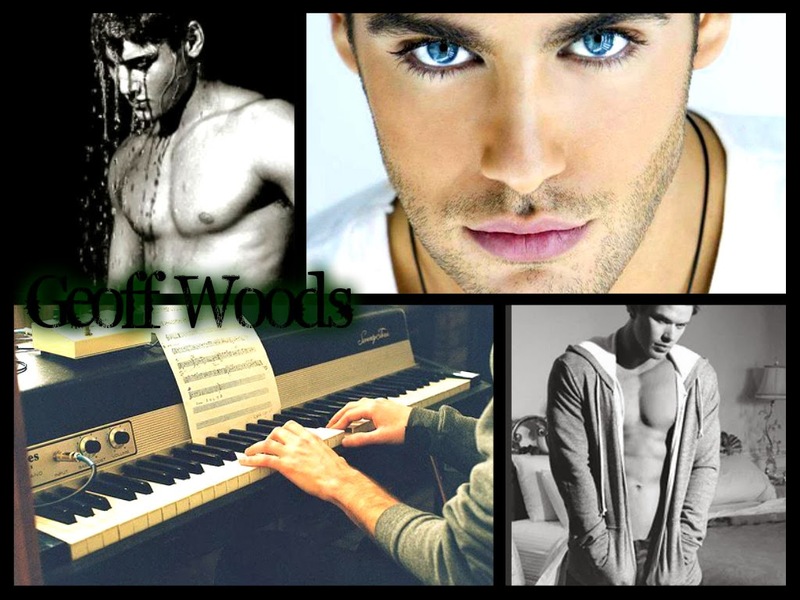 Woods wednesday is in dedication to a story me and Stephanie from Bookfever have going on Goodreads. I am currently editing the story and to make that move faster I have decided to start Woods wednesday. It will mean that every wednesday I will share a picture, collage, maybe even a little teaser from some of the previous added chapters or maybe even some from the part that we are currently working on. It could also be a characters bio, an interview with one or one of the many facts about Geoff Woods.And of course also add a new chapter (hence making it move faster) to Goodreads every wednesday. Today there's a Geoff collage showing what guy Geoff is. There's his swimming in the lake, his blue blue eyes, piano playing and the abs as well, haha.